Steven (Chicagoland, United States) on 3 March 2009 in Architecture and Portfolio. 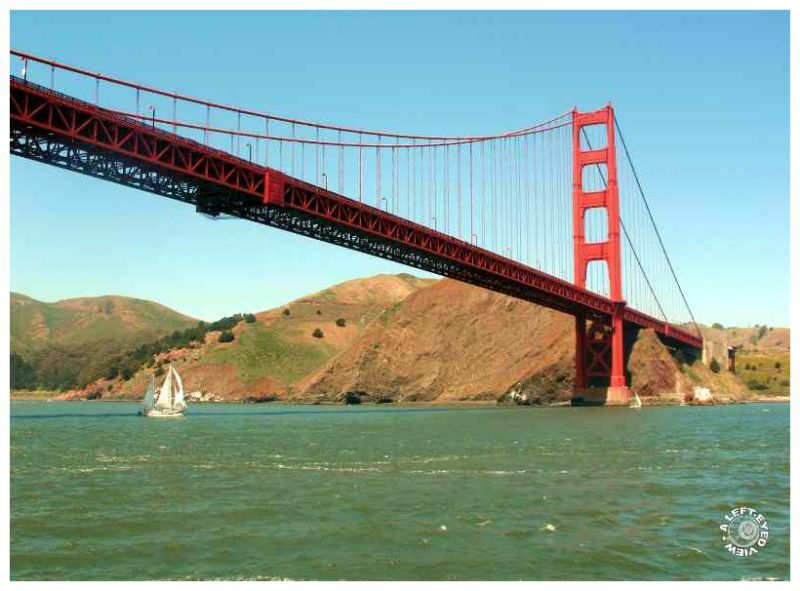 Photo taken while on the Golden Gate Bridge Boat Tour. It was a rather windy and choppy day on the water. And about 20 degrees cooler. Photo taken April 13, 2008. Look at that beauty. Lovely image of the mountains standing tall into the clear sky. It's a wonderful shot ... you did well. What a glorgeous subject beautifully shot. I am a big fan of triangles in photos and this is nicely done.